I have just returned from summer vacation, we were very fortunate with the weather and with the wildlife viewing. I have put 2 new pages up of my photos under the “Photos” item on the menu at the top of this page. Wildlife of the Canadian Rockies, and Wildlife of the West Coast, Vancouver Island. 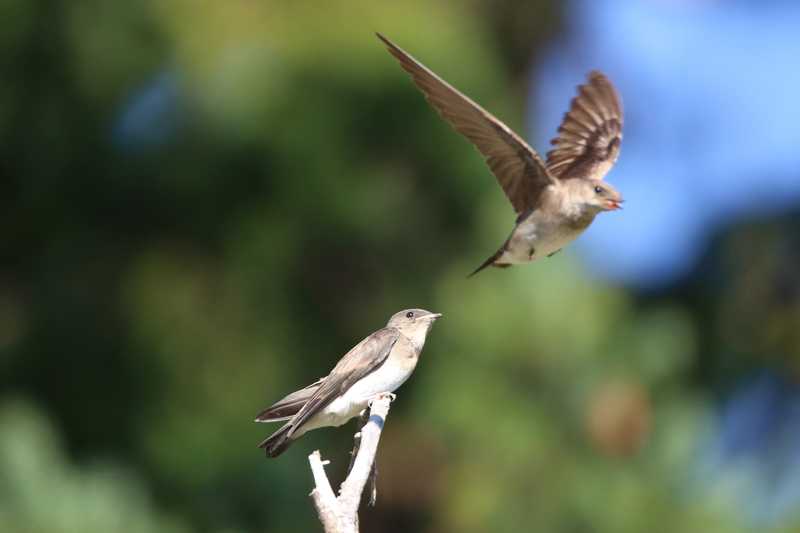 One photo I am quite pleased with is of a Purple Martin mother feeding her chick, that had grown to be a similar size to her. 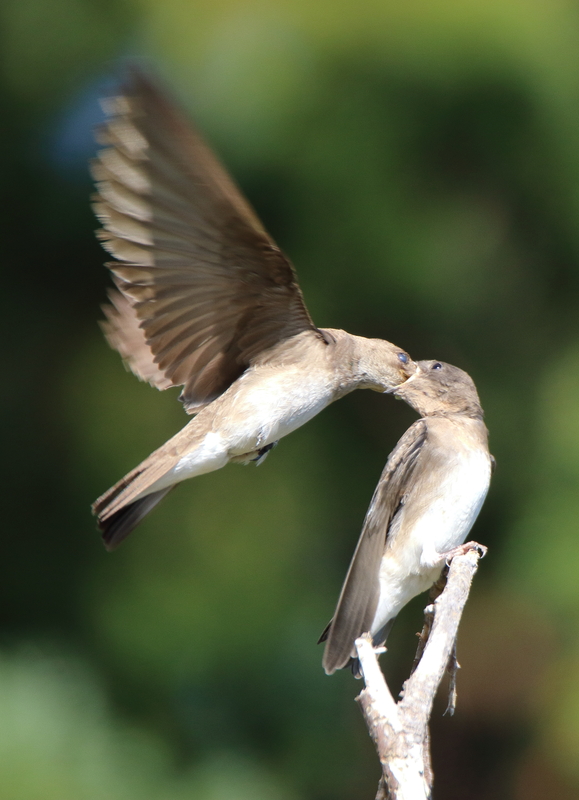 It was the first time I had seen Purple Martins, (unfortunately there were no males around), and I caught the moment when the mother deposited the meal right at the back of the young ones mouth. 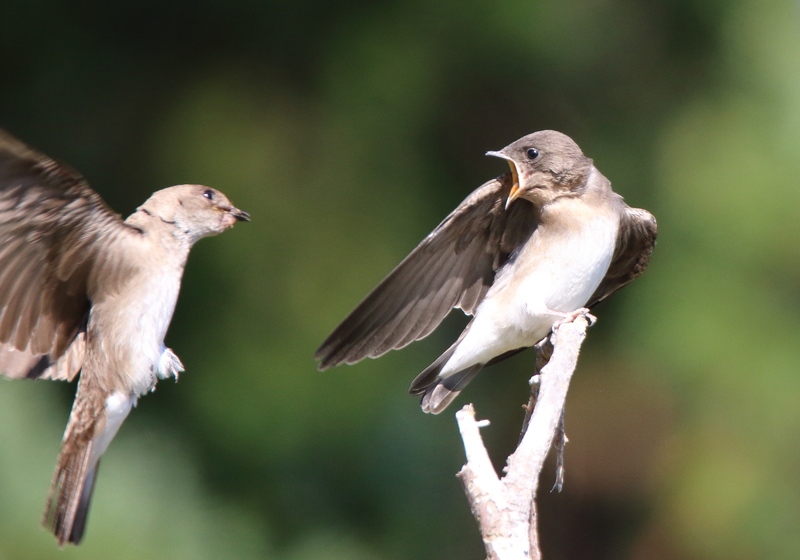 In this sequence you can see her approaching the noisily demanding chick, then, with the nictitating membrane over her eye, plunging her beak into the chick’s mouth, and then, without pausing, she flew off again to find more food for her hungry charge. Exhausting being a new parent. 4 Responses to Not neonatology; trip to Western Canada. It was great, and very relaxing. No Wifi for most of the vacation! Wow – new career ahead then as wildlife photographer!